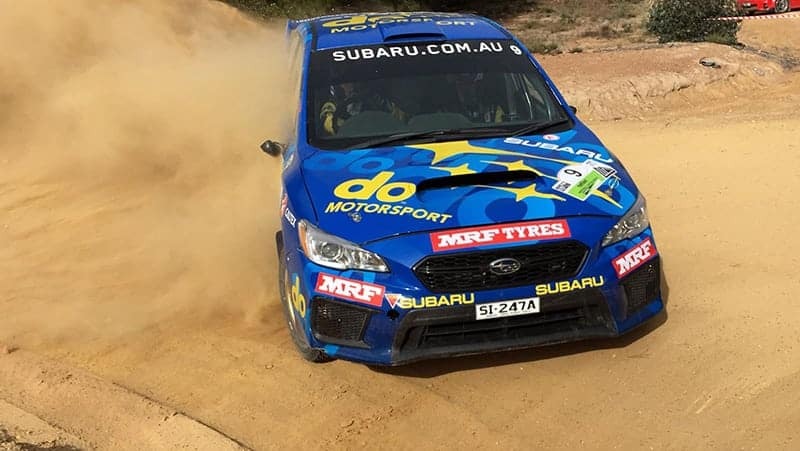 Subaru do Motorsport team endured a rough day on Leg 1 of the Netier National Capital Rally, with rock-strewn stages costing valuable time. In the third round of the 2018 CAMS Australian Rally Championship, Molly Taylor and co-driver Malcolm Read ran into issues on today’s second stage, damaging two rims on the turbocharged Production Rally Car (PRC) class All-Wheel Drive WRX STI, prepared by Les Walkden Rallying (LWR). But it was on SS3 Wamboin River I – the rally’s equal longest at 26.88 kilometres – that problems really compounded, with a puncture dictating a wheel change that demoted the team from fourth to fifth overall. Completing the morning’s short fourth stage, at just 1.69 kilometres, proved a relief, with the Subaru duo emerging in mid-leg service with three bent rims as collateral damage. Today’s action was focused around the Kowen Forest area east of the city and the afternoon proved equally challenging in the woods. Fourth places on SS6 and SS7 were valuable in consolidating overall fifth. Then a third place on the day’s penultimate stage, SS8 – the repeat of long-haul Hibernian – showed even greater promise. But another puncture on SS9 – the repeat of Wamboin River, where this morning’s puncture occurred – almost proved disastrous. After changing wheels, the pair was soon afterwards forced to decelerate rapidly from around 200 km/h, when a well-intentioned competitor ahead pulled aside on a left-hand bend, to let the Subaru through. Insufficient space forced Taylor and Read to collect a steel gatepost, causing severe damage to the rear cross member. Limping back to service, the LWR crew then had to use every second of the day’s final 45-minute service to ensure a restart tomorrow. It was with some relief that a fifth place felt like a podium after a tough day. Molly said: “It was a fairly brutal morning on rock-strewn stages. “Two bent rims on the second stage, the puncture on three, then finishing the morning with three bent rims in total meant we were actually pretty happy to recover to fifth overall going into this afternoon. “We had a really good time on the second-last stage this afternoon, but as so often happens in rallying, things changed quickly starting with our puncture on SS9. 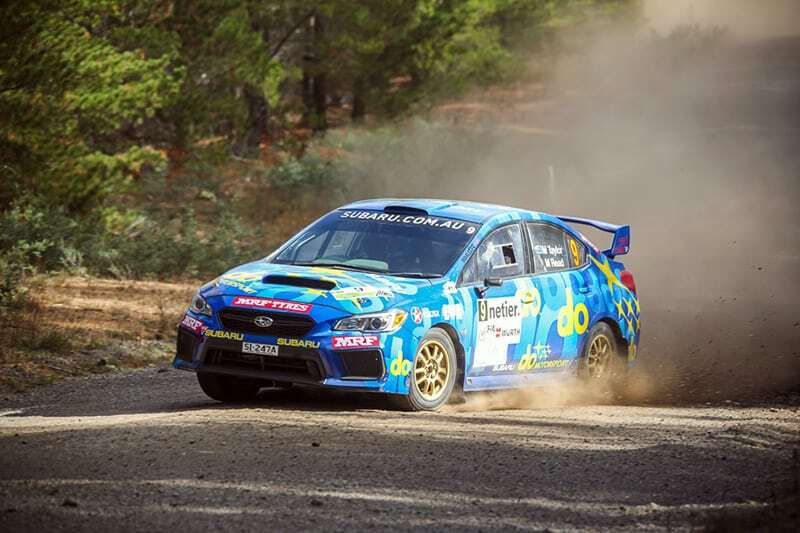 Sunday sees the rally head west of Canberra to the narrow, technical stages off Brindabella and Paddys River Roads, where tyre-wear across the six stages can be challenging. It covers a total of 119.08 competitive kilometres.